Chitranna is a traditional variety rice recipe popular in Karnataka. 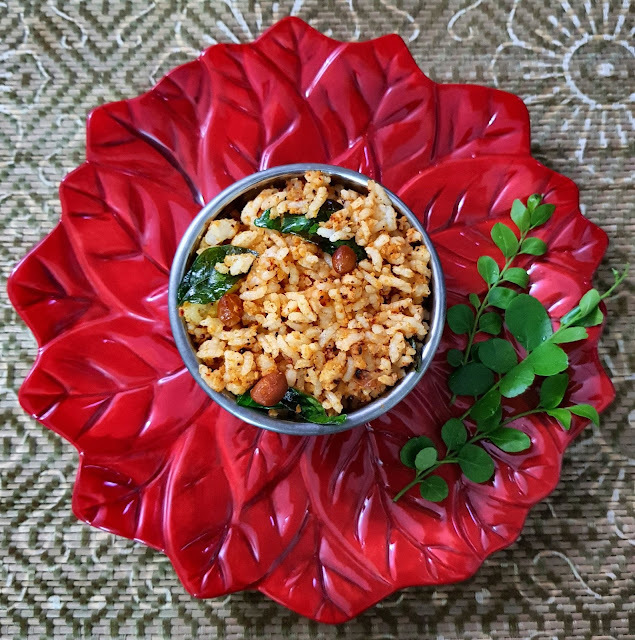 This version of Chitranna is made using mustard seeds, coconut and red chillies. This is called " Kayi Sasvi Chitranna". The paste prepared can be stored for a week and mixed with plain cooked rice when required. 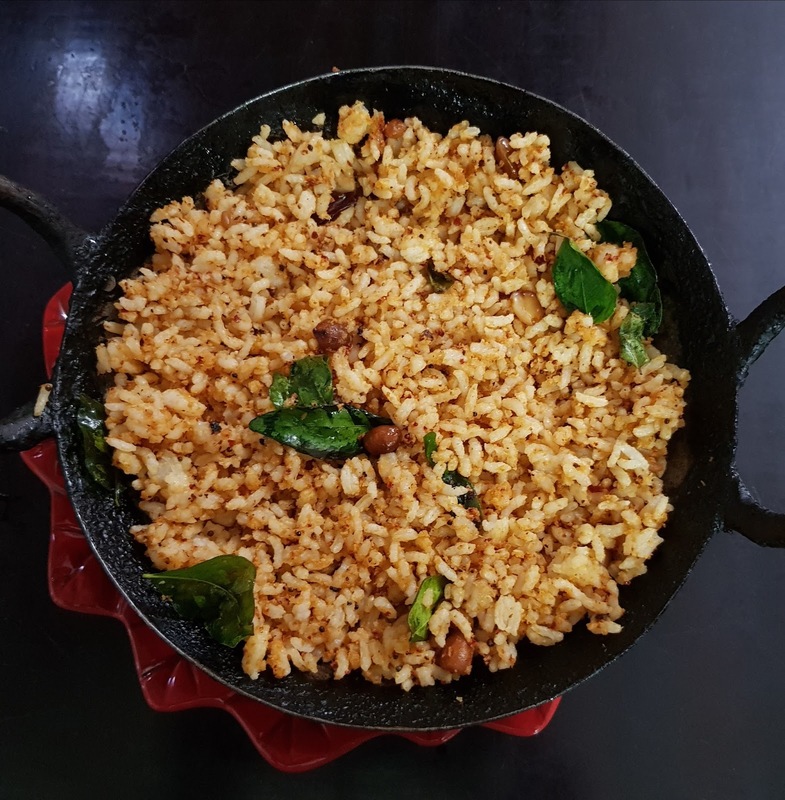 It can also be mixed with subzis (porial) and rice vermicilli (sevai/shavige). 1) Take the ingredients mentioned under "for paste" and grind it to a coarse paste. 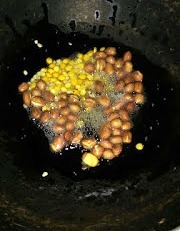 2) In a pan, heat oil and add mustard seeds, when it starts spluttering add urad dal, bengal gram dal, peanuts. 3) Add the paste when the urad dal turns golden brown. 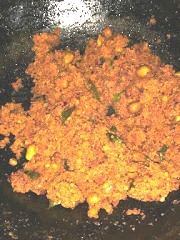 Then add turmeric powder and chilli powder saute for few minutes. 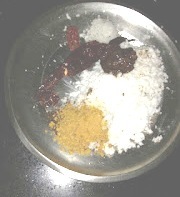 4) Add the rice and mix well. switch off the gas.